There are two ways you can conduct a job search. Reactive. 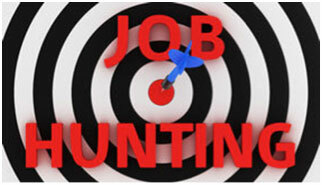 You comb the job boards to find job openings and apply to those that interest you, hoping to get an interview. According to CareerBuilders, within the first hour of a job posting, 1,000 people have viewed that job and over 800 people start the online application process. Those odds do not work in your favor. Proactive. You look for employers and jobs, and apply only to get the kind of job that matches your plan. That’s what Jane will teach you—it’s a focused strategy that works. College teaches you many things—but not who, what and how to search for and land your first professional job. While you learned very specialized knowledge in your chosen major, for most people a major is not a career. You need to understand how your college education and experience has helped you grow and develop your skills and abilities, and how these talents point you toward your career. When you identify your relevant and marketable talents and can succinctly convey why you best fit a specific job in a specific company, you get noticed. Think about it: What makes you stand out from all other job seekers like you—savvy, college-educated, impressive GPA, internship(s) and leadership activities? Why are you better than everyone else who’s applied for the same job? Not sure how to answer those questions? Employers will expect you to. Career-launch Coach Jane Horowitz will teach you how. And, you’ll feel good about what you have to say. Because your answers will be truthful and positive, and will showcase who you are in the best possible way. You may be one of many recent graduates, but you are unique in your abilities and behaviors. Jane can teach you how to best tell your story—in an interview, on your resumé, on your LinkedIn page and other social networking sites.